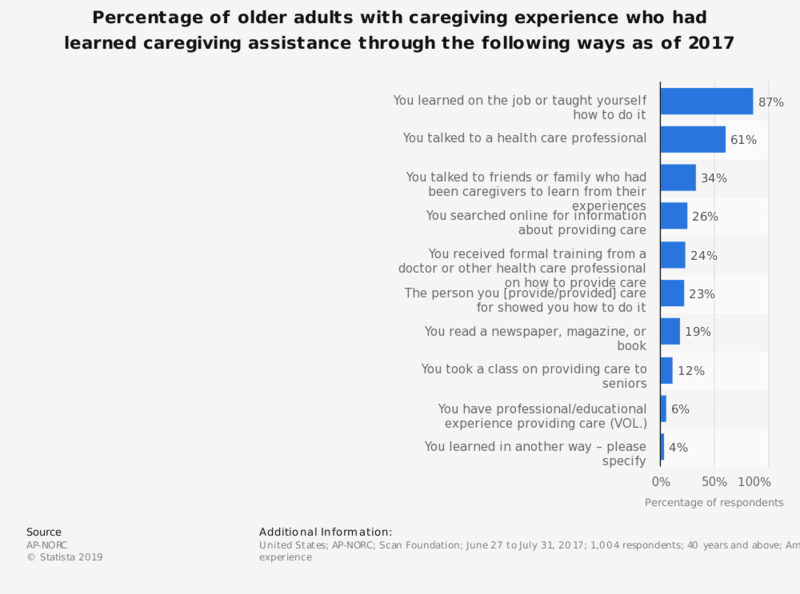 This graph shows the share of adults aged 40 years and older with caregiving experience who had learned caregiving assistance through the following ways in the U.S. as of 2017. As much as 61 percent of the respondents stated they had talked to a health care professional to learn how to provide ongoing living assistance. Original question: Have you learned/Did you learn how to provide ongoing living assistance in any of the following ways?